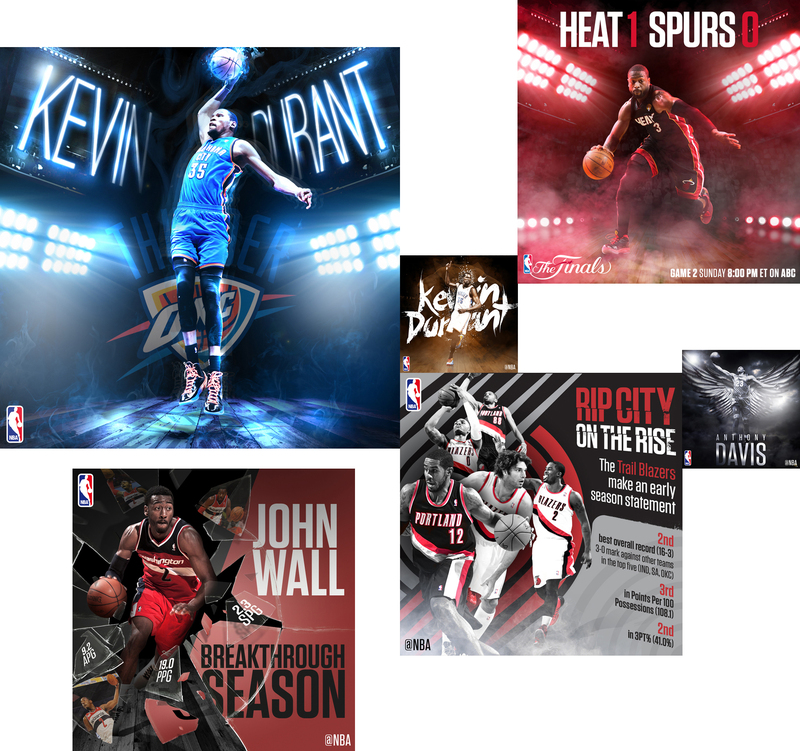 For two seasons, Knight Studios created next-level social creative content for the National Basketball Association, crafting player- and team-based static and motion graphics for every day of the NBA's regular season and play-offs. This constant flow premium creative helped increase user engagement across all social channels, slam-dunking the rest of US sport in the process. 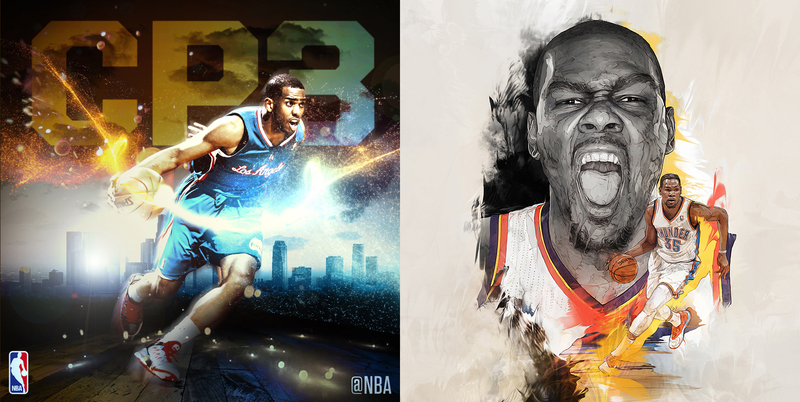 The NBA’s social channels received more total interactions during the playoffs than the NFL, MLB and NHL combined. At it’s best, the content received over 400% more engagement than similar posts the previous year, with total user engagement doubling over the entire season, receiving a huge 54.4 million interactions. 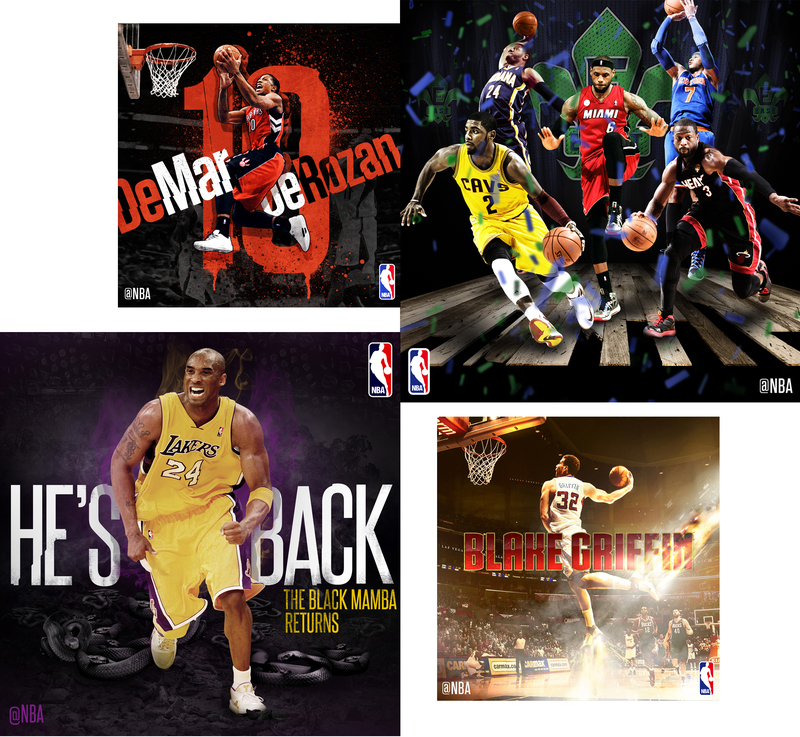 The two most important types of content for the NBA were graphics created to promote an upcoming game, or in reaction to an important moment from a most recent game. All of this content was created from in-game photography or video, this enabled us to ensure that they were always based around emotional, dynamic or game-defining, memorable snapshots. The power in the brief was the NBA's direction on style: there is no style. We were empowered to embrace whatever visual style suited that graphic and that message, we were challenged to create breathtakingly dynamic environments, right with texture and colour, for the players to populate. It allowed us to create a body of work that was relentlessly created and surprising and a toolkit that guided excellence. Through outstanding content delivery and exceeding expectations on performance, our partnership with NBA grew, extending our support and services to the NBA Stats Team, where we designed and built two data-driven websites for them, that dynamically pulled in live stats. Our influential work with the NBA social team is still evident this season, as the in-house team continues to deliver visually engaging content to their followers.